WP Fusion is an open source plugin for WordPress that provides a deep link between WordPress and leading CRMs and marketing automation platforms. Most commonly it’s used by customers who are running an online store, membership site, or LMS (Learning Management System) platform… but there are a lot of other uses as well. The basic idea is that all of your marketing efforts and customer communications occur in your CRM, but the main point of interaction with your customers is on your website, and these two systems don’t talk to each other. Prior to WP Fusion, you might have had a simple checkbox on your checkout form saying “Please subscribe me to your mailing list”. You would then send out periodic mass-emails to all of your customers at the same time. This kind of strategy often results in lower open rates and higher unsubscribe rates, because people are receiving a lot of emails that aren’t necessarily relevant to them. With WP Fusion, you can track engagement on your website at a very granular level by applying “tags” in your CRM, based on products purchased, forms submitted, pages viewed, and hundreds of other triggers. This kind of targeted communication has a massive effect on keeping customers coming back, and keeping students and members engaged with your content. I started the company in January of 2015, with the launch of WP Fusion, so we’ve been in business for a little over three years. Our revenue is variable since WP Fusion isn’t a SaaS product and we don’t charge a monthly fee. When you purchase, you get a license for one year of support and automatic updates. After the year, you have the option to renew your license at a 30% discount, but if you choose not to renew you can still continue using the plugin, just without access to support or automatic updates. Right now our monthly revenue is between $12k and $15k a month, with about 65% of that coming from new sales, and 35% coming from license renewals. I’m a proud “Digital Nomad”, and so I don’t have a specific home base. I started the company while living in Lima (Peru), and then moved to Spain for a year in 2016. I’m currently based in Iowa City while my wife finishes her degree at the University of Iowa, and after that, we’re planning on moving to Berlin. Our team is currently distributed as well. We have two employees, one in Peru, and one in Massachusetts. We also have an intern who works out of the same office here with me in Iowa. I’ve been lucky enough to never actually have a “full time” job. I’ve been working as a freelance WordPress developer for about ten years now. I started with building websites and then transitioned into building custom plugins and doing more “high level” development with APIs and behind the scenes stuff. I still have a group of clients who I continue to support, but about 75% of my time is now spent on developing and supporting WP Fusion. We’ve acquired customers almost entirely through word of mouth, and organic Google traffic. Our customers have been the greatest advocates for the product, just because of how much time and effort it saves them. We also put a huge emphasis on the quality of support we offer, often adding new features to meet customer needs. This has helped a lot with increasing customer satisfaction, which results in their recommending WP Fusion to their own Communities. What software/platforms/tools have you utilized since launch? a. Which have worked/not worked? Our site is hosted by SiteGround, which I highly recommend, and is powered by WordPress (of course). Sales are powered by EDD Recurring Payments, with support for PayPal and Stripe. License keys and automatic updates are handled by the EDD Software Licensing extension (https://easydigitaldownloads.com/downloads/softwarelicensing/). Automatic billing is handled by EDD Recurring Payments. Live chat on our site is powered by Chatra (https://chatra.io). I’d been through a few chat systems and never been 100% happy with them, but we’ve been using Chatra for almost two years now and it’s been great. WP Fusion is entirely bootstrapped, we haven’t taken on any outside funding. It’s relatively easy to launch a product in the WordPress space, especially since I was able to develop it myself and didn’t have to contract out the development. As sales have grown we’ve been able to spend more money on advertising and hiring, but generally, we’re trying to grow “smart”, not fast. All revenue comes from sales of the plugin and license renewals. Growing our customer base has actually been pretty easy. I think we were lucky enough to have created a product that solves a lot of problems for a lot of people when there was previously nothing available. So we’ve been really fortunate in that regard. Probably the biggest challenge has been finding the right people to hire as we’ve grown. The nature of the WordPress ecosystem right now is that the really good developers and marketing experts are all running their own successful projects, so it would be a step backwards for them to sign onto someone else’s project fulltime. I tried to hire a couple of people over the years, but each time they would either not have the necessary experience, or be so busy with other projects that they couldn’t focus properly on WP Fusion. Each time I’d burn through a large part of our savings during the training/onboarding process, just to have to give up when it was clear it wouldn’t work out. Then about a year and a half ago, a friend of a friend of mine wanted to learn to programme and approached me about doing a sort of internship program. Even though he didn’t have any of the technical knowledge coming in, he was able to commit himself fully to the project, working out of the same office with me, and learning everything “hands on”. Since it was an internship, the labour costs were pretty low, and I was able to train him on how to do things the “right way” from the beginning— instead of having to correct a lot of bad habits a developer may have picked up elsewhere. That’s worked out really well, and now he’s working for us remotely full time. He’s also been able to pick up his own clients on the side with the skills he’s learned. Based on that success, I started with another paid intern this January, and so far that’s also going really well. That model obviously won’t work for every type of business, but I think it’s been especially effective within the WordPress space because it’s a pretty easy system to learn with the right guidance, and the technology is changing so quickly that prior experience doesn’t carry a lot of weight anyway. If I had to do it all over again, I absolutely would, and I probably wouldn’t change a thing. There have been challenges for sure, but each one has been valuable as a learning experience. Our company homepage for Very Good Plugins is at https://verygoodplugins.com/, where you can see our various projects. 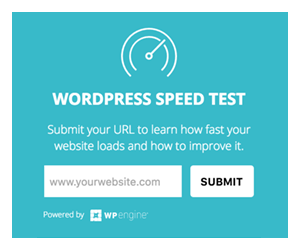 If you’re interested in marketing automation and WordPress, definitely check out WP Fusion at https://wpfusionplugin.com/. We also have a pretty active Facebook community https://www.facebook.com/groups/wpfusion/.